Just started a prototype of a new interface. 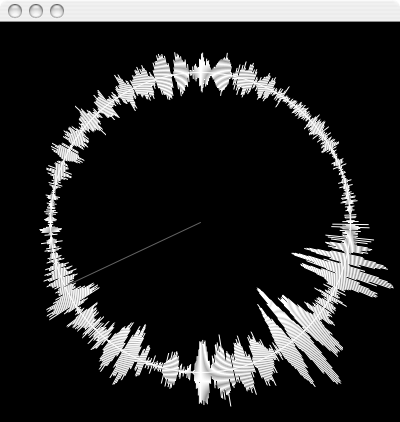 A ‘Shake’ device containing accelerometers, magnetometers, bluetooth and capacitive sensors is strapped to the center of a 10″ record, allowing the user to perform vertical wireless scratching… At the moment the angle of rotation is computed as shown in the animation, but currently this isn’t hooked up to the circular sound-wave shown above. More to follow soon.